Shutterstock Tracts of land in the suburbs often include room for a home, as well as front, back and even side yards. Figuring out where you should live can be difficult. If your options include a city, rural area or suburb, it's a good idea to weigh the advantages and disadvantages specific to your family and each living environment. Factors like real estate taxes, property size, property value, schools and space can help you compare the unique benefits of living in the suburbs over living downtown or in the country. We've already highlighted the benefits of big-city living. If you are having trouble deciding, check out some of the great aspects of living between an urban center and a rural area. 1. Bigger Houses & More Space. Compared to an inner-city living situation, you will usually find more square footage for your money in the suburbs. Tracts of land often include room for a home, as well as front, back and even side yards. Many suburbs were evolved from previously rural or wooded%VIRTUAL-pullquote-Suburban areas typically offer better schools than urban or rural districts.% areas, so your property may have trees and wildlife. Having more space inside and out is one of the most common reasons previous city dwellers move into the suburbs. While you get the benefit of space, suburbs are usually still close enough to commute into the city. Since cities usually provide a wide variety of jobs, this proximity to income opportunities can give the suburbs an edge over rural areas. 2. Better Education. Suburban areas typically offer better schools than urban or rural districts. If you have or plan to have children in the near future, it's a good idea to consider the importance of education in your lifestyle. Even if you do not plan to have kids, knowing the state of the school district can be helpful come resale time. However, in many suburbs you will pay higher property taxes for those better-quality schools. There are some places where you can get a bargain -- better value for the property taxes you pay. 3. Neighbors & Nature. Whether it is local parks or close-knit neighborhoods, residents of the suburbs often enjoy fresh air, natural scenery and a strong sense of community. People often move to suburbia specifically to raise children, escape the hustle and bustle, and improve life and safety for their families. 4. Quality of Life. Suburbia offers an escape from the work and stresses of the big city, while still allowing relative proximity to other people and necessities. With less traffic congestion and crowding, as well as a lower crime rate, suburbanites often find a higher quality of life than what is available elsewhere. There is access to plentiful job opportunities while having the option for recreational and outdoor activities as well as opportunities to meet people and join a community. 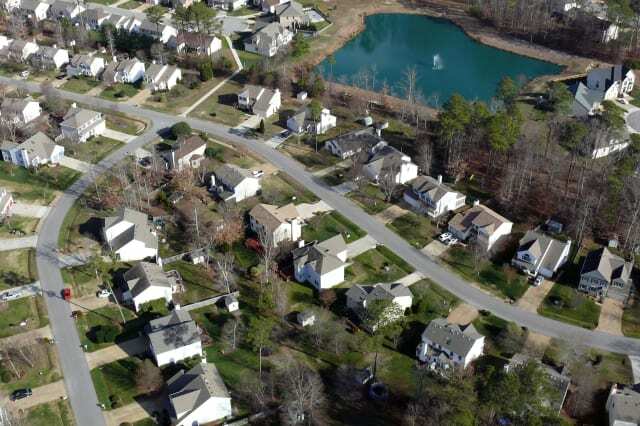 If you get easily bored or like the options afforded in a city, suburbia may not be for you. Being far away from the action of city life or without the rolling property in the country may sound unappealing. Outings in the suburbs take time and effort and the commute to work in the city may be long and expensive. You may also need the use of a car, which adds insurance, gas and upkeep costs. It's important to consider your priorities when you determine which type of location you want to call home. No matter where you land, it's always important to check your credit before getting a mortgage, since a bad credit score can cost you tens of thousands of dollars over the life of a loan. You can check two of your credit scores for free every month on Credit.com.